Or better known as the first round of the state football playoffs. 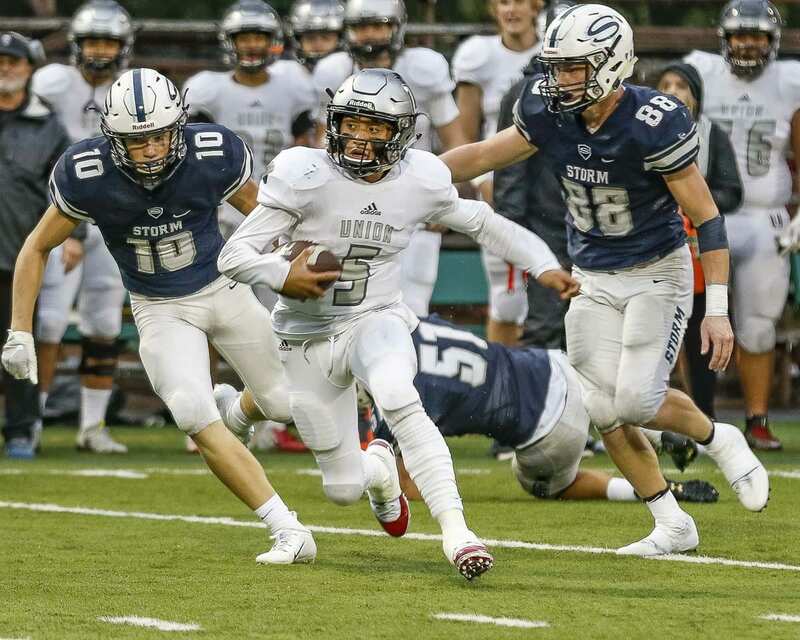 No matter what it is called, if a team is still playing in Week 11 of the Washington Interscholastic Activities Association football season, that team is among the 16 finalists in its classification. There are four teams from Clark County that are still in season. Two are ranked No. 1. One has earned a No. 3 seed. And another has a shot to stun the rest of the state as a 15-seed. Here are what the coaches are saying heading into their match-ups. Congratulations to the Union Titans for being the first No. 1 seed in Class 4A history. Yes, the first year of a seeding system gives the nod to Union. Oh they get to take on a 16-seed that just happens to be the most dominant 4A program in the since the turn of the century. Skyline has a total of seven state titles since 2000, including six as a 4A program. In one of those seasons, the Spartans lost three regular-season games. All of that is a great thing for Union coach Rory Rosenbach. No way his team is looking past that program, with that coaching staff. “Regular-season success for them doesn’t matter. They know how to turn it on come postseason, come bracket time,” Rosenbach said. Skyline has the history. Union has the present, at least when considering record, ranking, and seeding. The Titans got to state at 10-0 and ranked No. 1 by The Associated Press. Then the seeding committee, in its first year, gave the Titans the top seed. That means Union will be the home team through the semifinals, should the Titans keep winning. “It’s a pretty cool deal. We’re honored they thought we were the No. 1,” Rosenbach said. “But we’ve seen film on all of the top five or six teams, and there are some pretty good teams. The fact that they thought we were No. 1 is good, but now we have to go out and prove it. 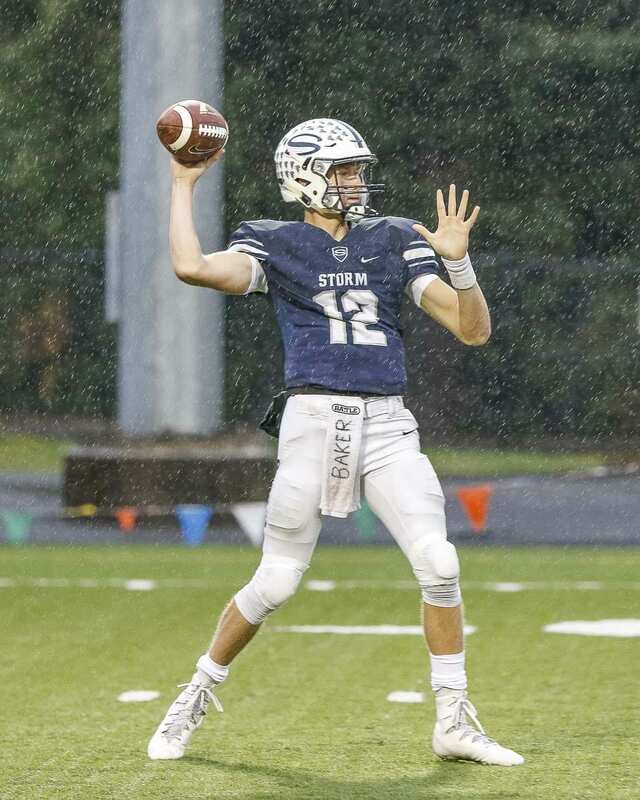 “We’re back where we’re supposed to be,” Skyview coach Steve Kizer said of his Storm. This year, not only did the Storm get to the playoffs, they won the Week 10 matchup to earn another trip to state. This will be the 10th appearance in the round of 16. As a 15-seed going up against No. 2, not many expect Skyview to reach the elite eight. Players, coaches, and managers. Those are the ones who matter. 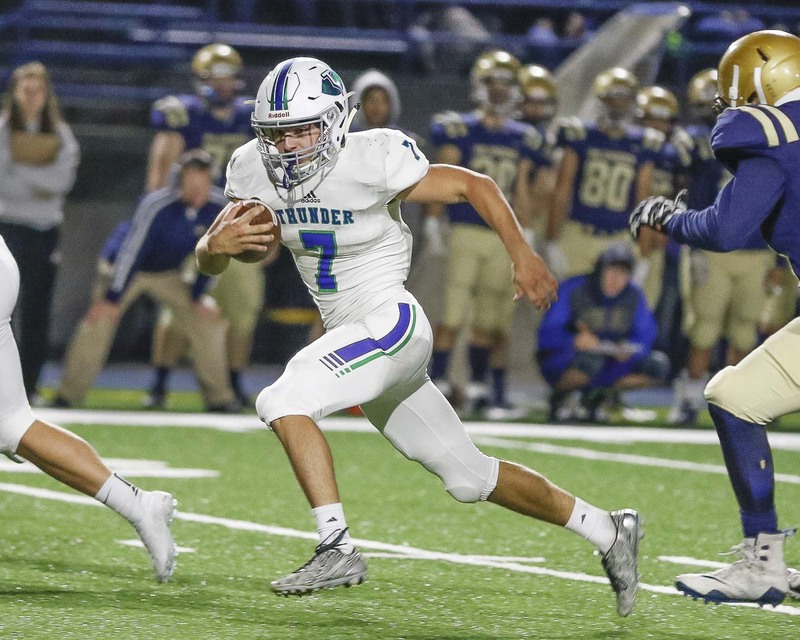 Woodinville, Kizer said, is one of the best teams he has seen on video this season. He is particularly impressed with Woodinville’s offensive line. Kizer acknowledged he did not know if this team could get here, after the way the season started. “We just continued to get better every week,” Kizer said, giving a shout-out to the assistant coaches working with a lot of new faces in starting roles this season. Regardless of the outcome Saturday, by making it this far the Storm got at least two more weeks together. Mountain View coach Adam Mathieson does not see the 14 near Squalicum’s name. He just sees a good football team with a good record, a team that his squad must be prepared to face. Still, he is confident because this team of his in particular is so good at preparing. Going 9-1, with the only loss coming against the top-ranked 4A team and by only three points, and being seeded No. 3, those are big deals to the Thunder. But they are not talked about … at least not now. “Those are the things that banquets are for,” Mathieson said. No one wants to schedule that banquet any time soon. The Thunder want a long playoff run. That would be new, too. Mountain View has lost in the opening round at state the past two seasons. That could feel like some pressure, but really, there is not too much pressure for this team. First round. Quarterfinals. Semifinals. Maybe the finals. All of that would be wonderful for the Thunder. But it is more than just wins and trophies. “You’re guaranteed nine,” Mathieson said, referring to the number of games in a season. Teams that make the playoffs get more. The Thunder would love a few more weeks of preparation together. 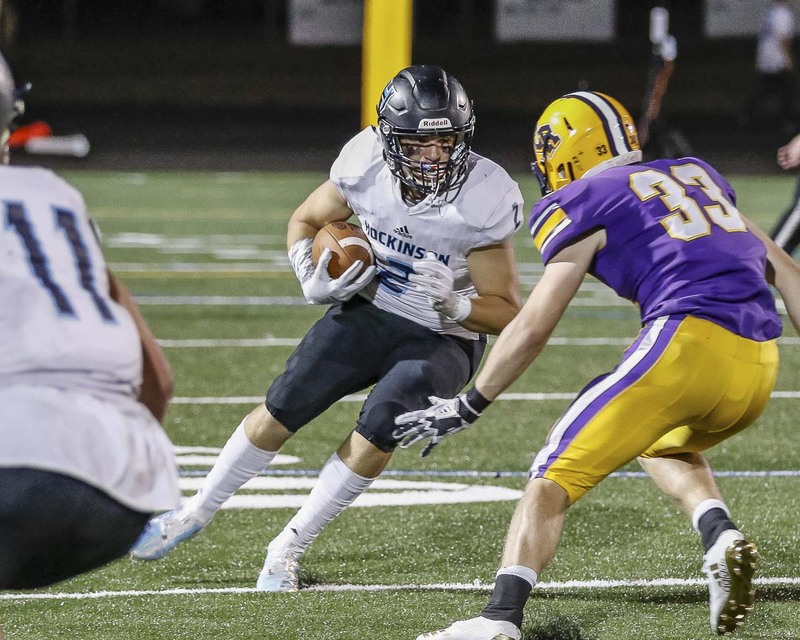 The Hawks picked up right where they left off after last season’s state championship run and have reeled off nine wins in a row this season. That makes 23 in a row total. They looked unstoppable last year. They look unstoppable this year, too. A year ago through Week 10, the Hawks averaged 45.8 points per game and won by an average of 36 points. This season, through Week 10, the team is averaging 50 points per game with the same 36-point margin of victory. Yep. The Hawks are still good. Last week, though, they got a wake-up call of sorts. W.F. West led 14-0 in the first quarter. No problem. The Hawks scored the next 52 points. But then the Hawks figure it out and do what they do. “When our kids play, it’s look out,” Steele said. So that is the emphasis this week for the Hawks. It is state playoff time. Which means no time to just feel things out in the first quarter. It’s go time. Washington has had trouble all season sustaining drives. A mistake here or there can take away any momentum. The next four weeks will determine the 2018 state champion. No matter what happens, the Hawks (like Union in Class 4A) get to say they were the first No. 1 seed under this format.